New India Manthan:" Sankalp Se Siddhi"
Ramkrishna Ashram Krishi Vigyan Kendra, Nimpith, West Bengal organized a seminar on “New India Manthan: Sankalp Se Siddhi” on 26.08.2017. The programme was inaugurated by Swami Sadanandaji Maharaj, Chairman, Ramkrishna Ashram Krishi Vigyan Kendra, Nimpith at 11.30 a.m. by lightening of lamp in presence of the Chief Guest, Special Guest and Respected Dignitaries. The programme continued for more than 3 hours At the outset of the programme, a video clipping on the message from Hon’ble Prime Minister on “New India Manthan: Sankalp Se Siddhi” was shown to the audience. 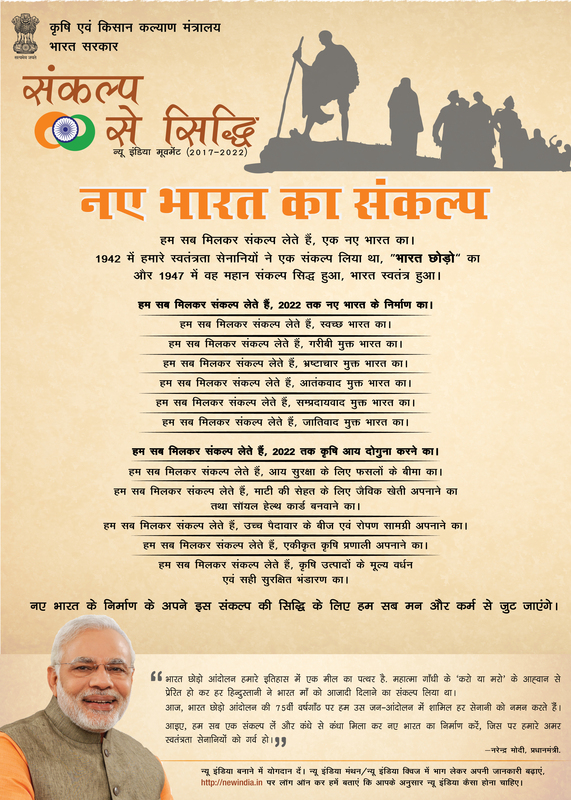 Then the pledge was taken by the all participants. The objective of the programme was narrated by Dr. P.P. Pal, Principal Scientist, ATARI, Kolkata. Shri Biswanath Das, Hon’ble Member of Legislative Assembly, (MLA) Joynagar gave emphasis on “Doubling of income from agriculture within 2022”- the major issue of “New India Manthan” celebrated by KVK. Image: Ramkrishna Ashram Krishi Vigyan Kendra, Nimpith, West Bengal organized a seminar on “New India Manthan: Sankalp Se Siddhi” on 26.08.2017. 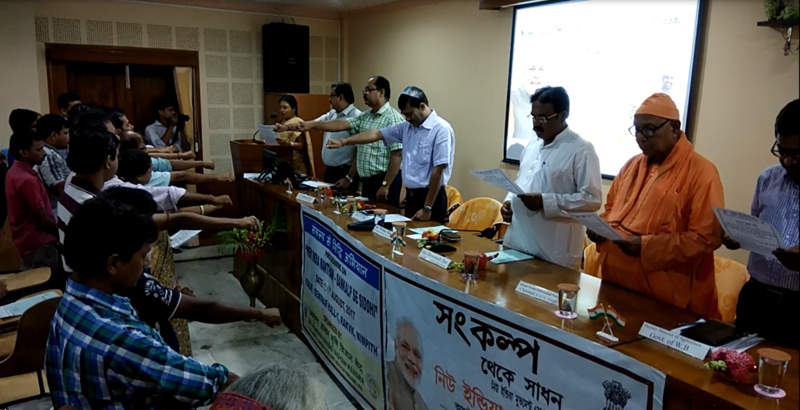 Video :Ramkrishna Ashram Krishi Vigyan Kendra, Nimpith, West Bengal organized a seminar on “New India Manthan: Sankalp Se Siddhi” on 26.08.2017.